A 7ZIP/7z file may contain a stack of crucial files in a compressed state. 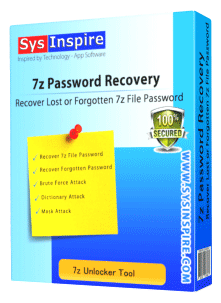 SysInspire 7 ZIP file password recovery software is a tool which is developed to facilitate 7ZIP file users who have lost/ forgotten the password of their 7ZIP file. This tool does not make changes in the data or the file while recovering password. The privacy of data and user is maintained in the entire procedure. The length and character set of the password is not a constraint for recovery. User can set password of their 7z file in any language (mostly in their native) and choosing password in English is not a mandate. This tool has the capability to restore password of any language including English from 7z file. Any string combination of UNICODE character set (i.e. alphabetic, numerical and symbols characters). The password can be unlocked in a mouse click. Masked Attack techniques can be of great aid if any part of password is known. This is much faster among all methods for password recovery. User just has to insert the known segment of the password and the likely permutations and the combination are tried to unlock the file. In this particular technique, probable passwords are tested from dictionary file with hit and try method. Meaningful words are predefined in that file in alphabetical order. A provision to create user defined or customized dictionary attack option is available. 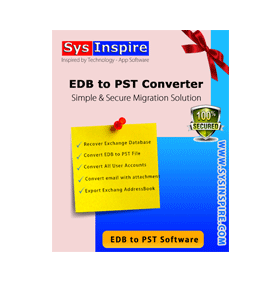 This software has passed clear and safe test by all popular and well known antivirus and online scanner applications. Hence user can restore the password accurately without compromising with information or privacy. Even if user is not satisfied with the performance then there is a choice of 30 days money back guarantee. 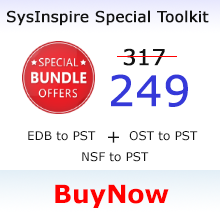 SysInspire 7-z File Password Unlocker Software can smoothly obtain password in simple two mouse clicks. After the completion of the whole procedure, there is facility of copying the password of 7z file collection. 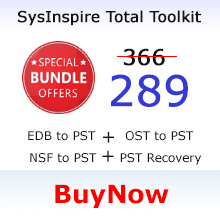 Use Trial Version: 7z Password Recovery Software - Download and install free demo version of SysInspire 7z Password Recovery Software to take best result by tring free of cost first 3 char of your password. What versions of 7ZIP does it support? All versions of the 7ZIP including latest ones (7ZIP 19.0, 7ZIP 18.06, and below versions) are supported by this tool. Can I unlock mixed password (including fusion of alphabets and numbers) of 7z file? 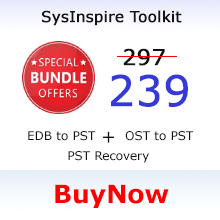 Sure with SysInspire 7-ZIP password recovery software, you can unlock 7z file without password. Among all methods, Brute Force Attack can be an ideal choice if there is no hint of the password. Can I get a free trial to check this software? Definitely, there is free version available for trial purpose for all users. Any user can download and install without any financial detail. Will I get a refund if this tool fails to work? Yes, if the software does not provide the required result then you claim a refund within 30 days of purchase.